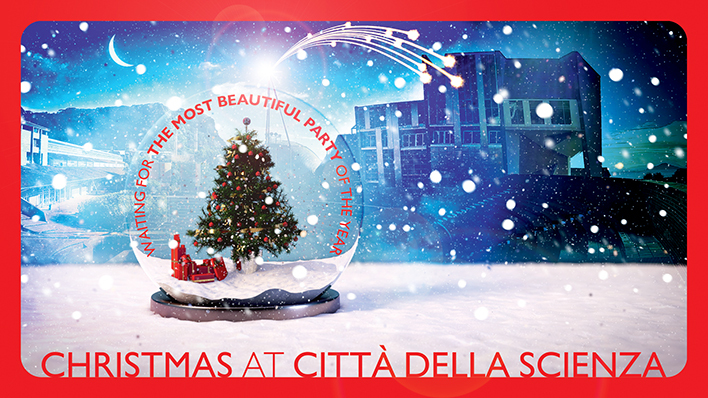 Città della Scienza is ready to start a new year full of new activities and of science. Come and join us to have fun with a rich program of events! Next Sunday there will be last date with “The Tree of Life: the Neozoic …“: from the first cells to the most complex organisms, step by step, weekend after week end, we will decorate our Tree of life life with clay objects, created by children. For the most creative there is a special lab “Holidays Origami “ to create special to give to anyone you want. Did you know that 50 to 100 billion cells die every day in a human being and they reform it just as much? Explore the microscopic (and not) cell world through the “New Year, new cells” workshop. Let yourself be inspired by the words of an animated fairy tale and realize your personalized design by participating in the “Animated Reading” workshop. “Epiphany” - Waiting for the Befana Party do not miss the opportunity to build the nice taumatropio to get sweeties. In addition there will be guided tours to Corporea, the first Italian interactive museum on the Human Body, and Planetarium shows:”Robot Explorers” (3D) and “From the Earth to the Universe” (2D) for a wonderful journey to discover the System Solar with probe, lander, orbiter and satellites. “Who lives in the new bags’ house?” – guided tours to discover new guests. The man known closely the giant Heteropterix dilatata, the wonderful African dry mantis and the African mantis stick. Who lives in the new Bags’ house? Saturday January 6th, 2018, from 10 to 6 pm, we will celebrate Epiphany together! A day full of science and entertainment, in the tradition of Città della Scienza: laboratories, experiments, star gazing and 3 science shows for adults and children! - The Circus of Rudinì, an animation show that enchants everyone. Travelling into the world of cells.